Tuesday, July 1 officially marks the beginning of Jack R. Ohle's tenure as the 15th president of Gustavus Adolphus College. 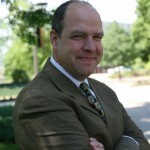 Ohle replaces James L. Peterson, who retired after serving as president of the College since July 2003. 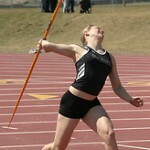 Gustavus Adolphus College student athlete Lisa Brown capped off an exciting track and field season by finishing 13th in the javelin throw at the United States Olympic Track and Field Trials at Hayward Field in Eugene, Ore., on Saturday, June 28. Gustavus Adolphus College President-elect Jack R. Ohle has named Thomas W. Young, a 1988 Gustavus graduate, Vice President for Institutional Advancement. 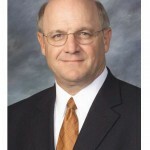 Young, who currently serves as Interim Co-director for the fundraising unit at the College, will assume his new duties on July 14, 2008. Gustavus Adolphus College surpassed its fundraising goal for the fiscal year, raising $12.07 million by May 31, 2008. 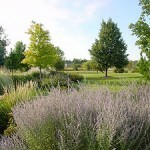 Friends of Linnaeus Arboretum at Gustavus Adolphus College will host a Summer Solstice Garden Tour from 10 a.m. to 4 p.m. on Sunday, June 22. The tour will begin and end at the Linnaeus Arboretum in St. Peter with stops scheduled in New Ulm, Minn., at the August Schell Brewery, Museum, and Gardens and the Gigi and Scott Rysdahl Residence. Gustavus Adolphus College presented Craig Johnson '69, Talmadge King '70, and Barbara Leonard '63 with Distinguished Alumni Citations Saturday, May 31 at the College's Alumni Banquet as part of the 2008 Reunion Weekend. 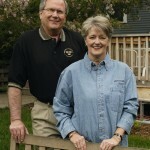 Gustavus Adolphus College President James Peterson '64 and his wife, the Rev. Susan Pepin Peterson '65 received the Greater Gustavus Award Saturday, May 31 during the Alumni Banquet as part of the College's 2008 Reunion Weekend. Richard Leitch, Gustavus Adolphus College Associate Professor of Political Science, received the 2008 Edgar M. Carlson Award for Distinguished Teaching during the College's commencement exercises on Sunday, June 1. 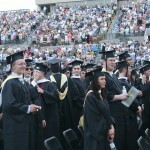 On Sunday, June 1, 589 seniors received their bachelor of arts degrees from Gustavus Adolphus College. 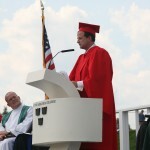 It was the first commencement ceremony held at the new Hollingsworth field and the final commencement ceremony with James Peterson serving as President of the College.